Meet Jim. He was once a successful paper salesman at a mid-level paper wholesaler. He spent his days pining after the love of his life while crafting crude pranks to play on his fellow office workers. Why, this one time he put office supplies inside of a gelatin dessert and it was quite the knee-slapper. Then, during a sales trip, a fiendish zombie jumped out at him, biting him in the arm. Soon after, he could feel himself turning into one of the undead. Now, he crawls the Earth looking to feed on his former co-workers! 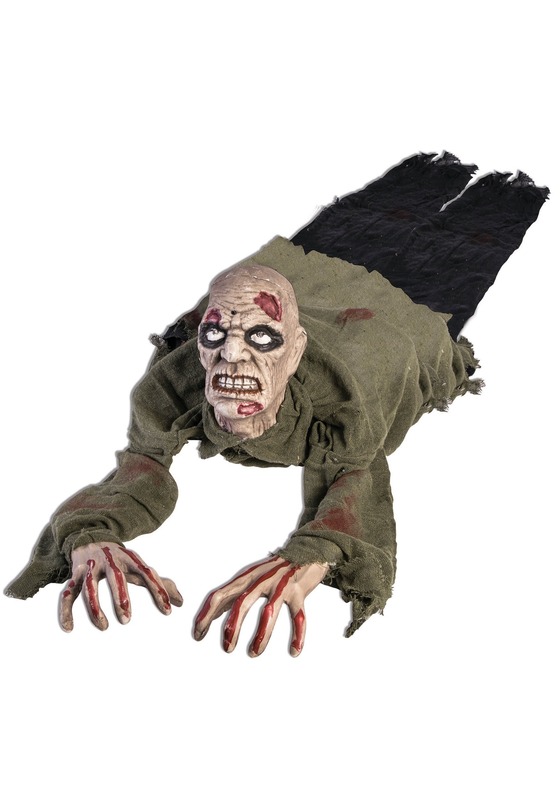 Okay, so maybe our backstory isn’t completely original, but maybe you can come up with a better one when you set this crawling zombie up in your home this Halloween!